Prepacking fruits and vegetables | Infonet Biovision Home. Short description: Contains basic processing methods of pre-packed fruits and vegetables. Pre-packing is preparing fruits and vegetables for sale with minimum processing resulting in value addition attracting a higher sales value than the product would otherwise attract when sold in it's natural form. This minimum processing also results in a "convenient" product that has minimal wastage and optimal quality for the consumer. 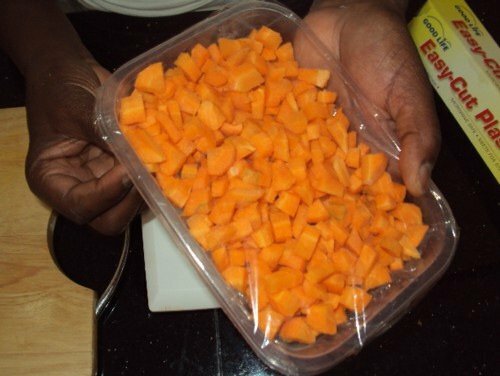 Pre Packs are normally "portion specific" i.e targeted at a definite number of consumers e.g two portions, 4 portions, family portions. This is controlled through standardised weights and packages of the pre packed goods. The minimal processing that products undergo for pre-packing render the product "ready to use". 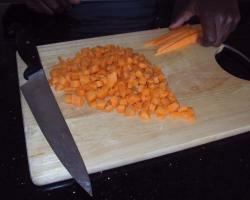 Methods of processing include shredding, slicing, grating, cubing, chopping, whole cleaned top and tailed baby vegetables, topping and tailing, trimming, washing and spin drying e.g leafy veg and herbs, and portioning into florets e.g broccoli and cauliflower. Hygiene is of outmost importance when value adding through processing or semi processing of vegetables and fruit and should be conducted in a clean custom designed processing area or facility. Before commencing any processing, veg and fruit must be sorted and pre washed with potable water free of any contaminants. All food handlers must follow a regime of good hygiene depending on the specific duty performed in the processing facility. Sorting of raw materials is carried out to ensure the correct quality of materials are processed before the products enter the processing area/facility. This also ensures time is not wasted on processing substandard materials and also minimises the risk of contamination of the final product. Sorting is normally carried out on sorting tables outside of the production facility. This is the easiest of pre-packing where a product is merely sorted, weighed and then packed. This process depends on the level of processing of the final product. If the processing is minimal e.g whole trimmed french beans, washing is not necessary. 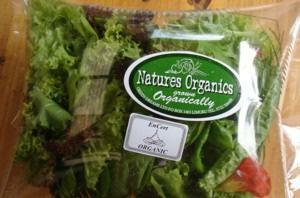 In the case of prepacked salad packs or shredded sukuma the leaves need washing and drip or spin drying. It is worth noting that washing reduces the shelf life of many fruits and vegetables thus considerations must be made regarding the market, distance and required shelf-life of the processed products. Washing may be necessary to remove foreign matter e.g soil, resins and residues, insects etc especially for fruit and veg that will be peeled before processing. Small scale production can rely on washing in buckets laid out in a series where products are moved from soiled to fresh potable final rinse water. Washing may also be done with a jet hose. On a larger scale washing may be mechanised. Certain standards and markets may require the use of a sanitiser in the final rinse water. 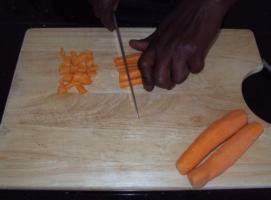 See fresh produce sanitisers at end of page. It is important to consider recycling used water. This process removes the outer skin and other unwanted parts of the fruit or veg from the final product before it is subject to the final stage of processing. After this stage there should be no more waste from the initial raw material. 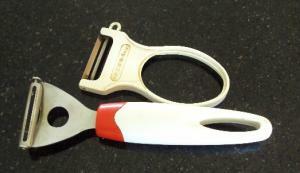 Peeling and trimming should be carried out with stainless steel utensils in order to avoid product discolouration. 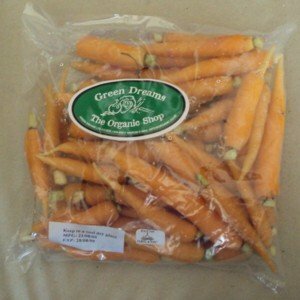 Whole baby products refer to products that are minature in size like baby carrots, baby beetroot etc They are normally either harvested at an earlier stage before maturity or grown from seed designed to specifically produce a minature sized crop. Whole baby crops normally attract a higher cost per kg than their mature equivalent. They are niche products often used in niche markets e.g gourmet cuisine restaurants. Of late whole baby products are beginning to appear in mainstream markets. 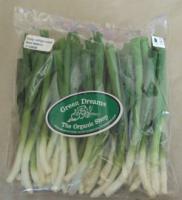 Prepack trimmed leaves of a variety of products are now found in many manistream markets. Products are washed to remove foreign materials, often sanitised in a vegetable sanitising solution before being dried by spinning or drip drying. 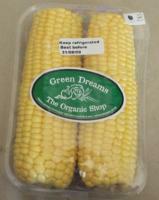 Packaging is normally a plastic bag that carries the labelling requirements (link to labelling page) and in some cases information on recipes. Vegetables: baby spinach leaves, beetroot leaves, parsley, corriander leaves, various types of lettuce and lettuce mixes as well as herbs. Convienient packs of brocolli and cauliflower florets as well as mixes of the two are now popular and comprise of washed and sanitised florets (produced by breaking the cauliflower and brocolli heads into smaller segments dried and packed into plastic bags or punnets. Consumer markets are driving producers to develop convenient products in all categories and all food groups. 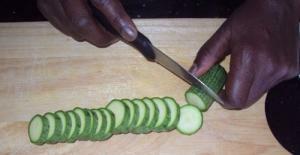 Due to globalisation many people are now exposed to an increasingly wide variety of food choices in their daily lives. The media in many developed countries now promote exclusive food channels and thus create opportunities for food producers to innovate rapidly. Combination packs have become very popular where combinations of exotic fruits and vegetables enable consumers to easily follow exotic recipes. The Stir Fry pack is possibly the most common combination pack, combining chinese authentic vegetables, pak choi, bean sprouts, baby corn, snow peas, ginger, garlic and lemon grass together. Combo packs allow a producer a certain amount of flexibility, where products that are in plenty can be used in a variety of ways. 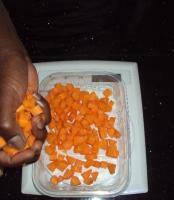 Shredded veg are then weighted to a standardised measurement and packed in either plastic bags or plastic punnets. 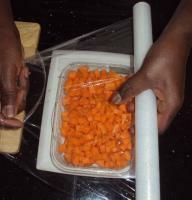 The packaging is then sealed using a bar sealer or punnet lid that is securely taped down. The package must then be labelled showing all of the statutory requirements.